Medical imaging grows to be a broad and modern scientific field. Imaging principles, methods and applications are important topics in this field. While applications and the generalization of techniques start with and rely on theoretical development and novel methodology, introduction and instructions of relatively new ideas, concepts and methods are of pivotal importance to students, beginners and general clinical practitioners in this field. Functional MRI (fMRI) has been widely used for the past 30 years to investigate brain functional changes under physiologic challenges or disease conditions in contrast to a resting state. The physiological contributors to the fMRI signal changes include the blood-oxygenation-dependent level (BOLD) effect and in-flow effect such as the increment in local CBF and arterial oxygenation. Improvement of spatiotemporal resolution of fMRI to enhance neuronal activity specificity and pinpoint the microvasculature activation is the ultimate goal. fMRI functional activity/connectivity and graph theory-based connectome analyses with a multiplex fast imaging technique are recently developed new techniques to provide both a whole-picture and regional specialization of brain resource utilization in a systematic way. The integration of neuroscience and mathematical as well as physical and physiological metrics also promote the innovation and applications of multi-modal imaging equipment development and multi-parametric utilizations in clinical environments, including disease diagnosis and treatment. 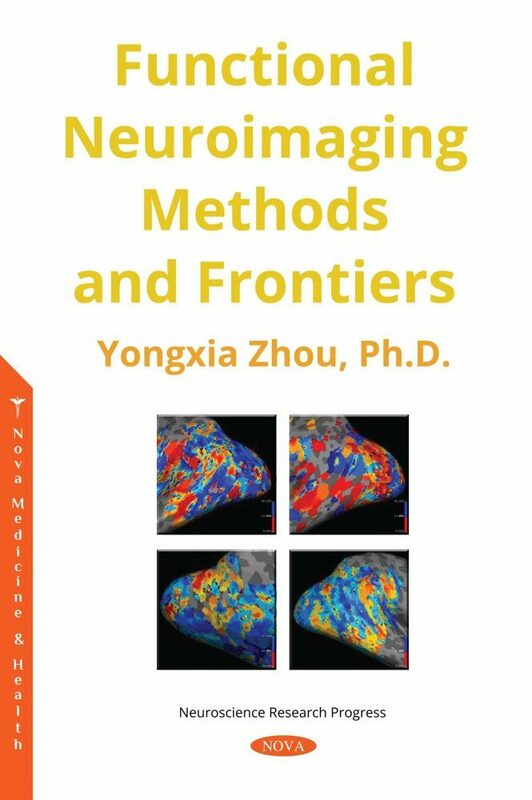 The aim of this book is intended to provide a whole picture of new fMRI imaging methodological developments from principles to applications, to both beginners and experts in biomedical imaging and healthcare. Several fundamental principles and metrics including BOLD, microvasculature detection and fMRI/EEG coupling will be presented together with some new and up-to-date analytical methods. The conventional statistical methods and relatively new methods of wavelets, dynamic linear correlation coefficients, independent component analysis, EEG source imaging and multi-modal integration will be covered. The authors hope that this book will capture the interests of colleagues in the medical imaging field and could help convey the methodological, technical and developmental resources of neuroimaging applications. This book will provide the current state-of-the-art and frontiers of neuroimaging techniques in basic science and clinical neuroscience research. The authors will present some forefront and interesting multi-dimensional imaging techniques to serve as a textbook and reference manual in fMRI methodological training as well as in the research field. Several distinct imaging perspectives, including cutting-edge imaging methods from acquisition to data analysis as well as multi-modal and multi-parametric quantifications will be described. The relatively new and advanced principles and methods together with interesting examples and application demonstrations would hopefully contribute to the medical imaging teaching and research field and could help facilitate the generalization, interpretation and applications of the proposed neuroimaging methods. Audience: College to post-graduate students, professionals including faculties and scientists in universities and research institutes, as well as research and development staff interested in medical imaging including fMRI methods and applications. This book hopes to serve as a textbook and reference manual in fMRI imaging principles and analysis.